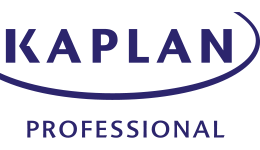 Discover the dynamic world of insurance broking with this flexible course from Kaplan Professional. The FNS51215 Diploma of Insurance Broking can kick-start your career, and you don’t need any prior industry experience or qualifications to apply. You’ll develop a comprehensive knowledge base that includes insurance industry products and services, Tier 1 broking advice, general and personal advice, renewals and new business, quality client service, compliance for broking clients, risk assessment and more. You’ll also gain practical workplace skills such as monitoring team performance, reviewing service performance and working with premium clients. Four subjects, developed with extensive industry consultation, include progressive assessment that incorporates coaching feedback and a detailed case study with organisation and character profiles. The characters have roles as clients, insurance brokers, general insurer employees and external specialists, and you’ll have the chance to apply technical solutions to complex problems, use your initiative and evaluate your own work. With this invaluable hands-on training, you’ll complete this course ready to hit the ground running. individuals are working in the insurance industry and have access to brokerage processes, insurance plans for a range of broking clients, retail insurance products, and compliance (if individuals are not yet in the industry, a ’sample pack’ can be used to complete the assessment). Upon successful completion of this course, you will receive a FNS51215 Diploma of Insurance Broking from Kaplan Professional. Individuals who complete this qualification will be equipped with the knowledge and skills to pursue a career as an insurance broker. The full fee for this course (DIB1, DIB2, DIB3, DIB4) is $2,635 (GST Exempt).